Another Warriors sharpshooter is switching sneaker brands. Signing American NBA stars to lucrative endorsement deals hasn't exactly yielded the desired returns for China-based sneaker companies, but it hasn't stopped them all from trying to find the right guy. They have made progress in recent years, landing younger All-Star talent as opposed to Hall of Famers on the brink of retirement. Particularly making strides is Quanzhou's ANTA, who will reportedly reel in its biggest fish next week. Confirming rumors that have made rounds for weeks, Golden State Warriors beat writer Diamond Leung reports that Klay Thompson will announce a deal with ANTA in New York City during All-Star Weekend. 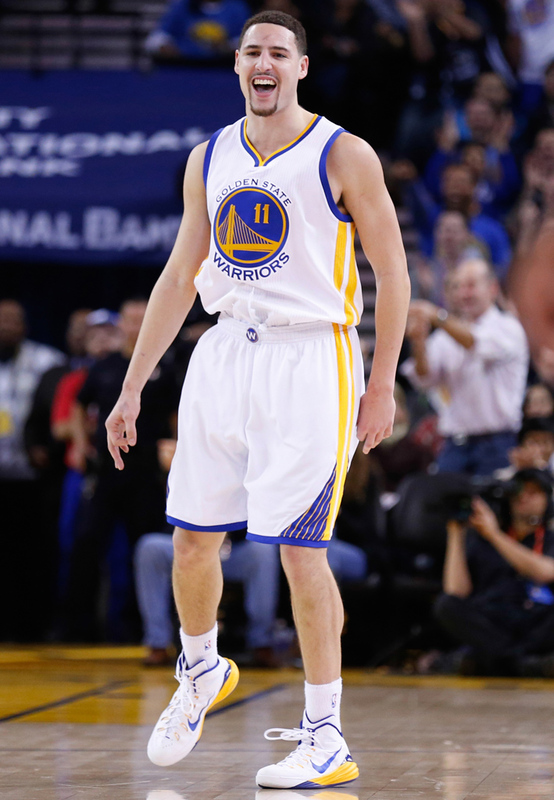 Thompson, who was selected as a reserve for the Western Conference, has worn Nike sneakers since his rookie season. Klay Thompson to announce his shoe deal in New York next week. Thompson will join a roster that includes Rajon Rondo, Chandler Parsons, Luis Scola and Kevin Garnett. It's not clear whether Thompson will have signature product, but it seems like a safe bet considering precedent. And fresh off his record breaking performance against the Kings last month, there couldn't be a better time for this announcement.